Drive coordinated accountability & decision making! Excel or power point driven? Have you considered an Agile solution? Enable team digital collaboration and direct access. Choose features you want & how you will use them. "line of sight" between strategy & execution. Click here for our new Agile Strategy Execution Book! Agile Strategy Manager™ enables organizations to integrate, align & manage all strategic and tactical, information... online! Your depts. 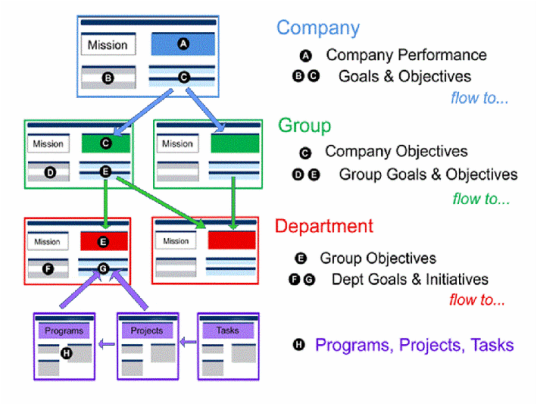 can easily organize, manage and link their execution programs & projects to functional/cross functional strategies, objectives, initiatives & tactics throughout the organization. 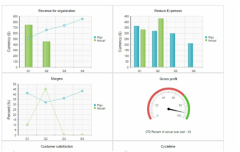 Executives and managers can easily create and update all information & performance metrics, with a simple double click. 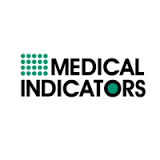 ​Resources, including meetings, metrics, scorecards, documents, action logs and performance evaluations are easily accessible. 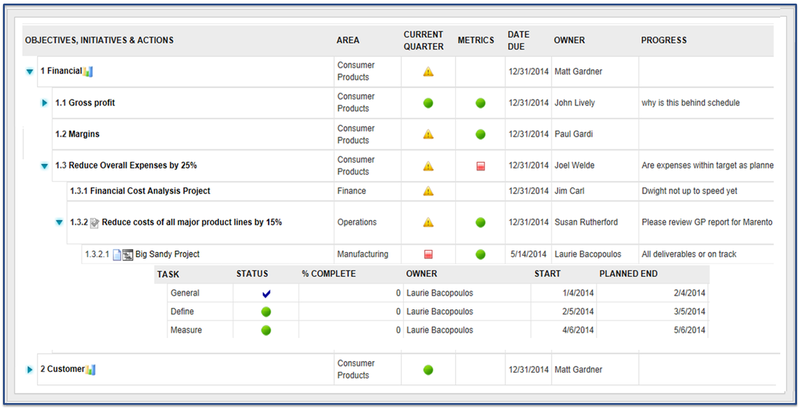 Integrate, align and manage all strategic, tactical and performance information on one page. 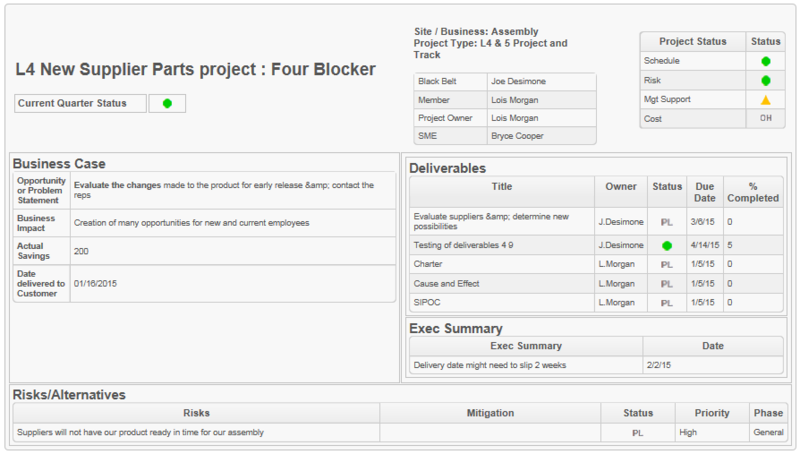 Align, track and collaborate on the progress of multiple projects from one simple interface. Manage projects cutting across department boundaries (i.e. Six Sigma), or part of broader corporate/dept. initiatives. 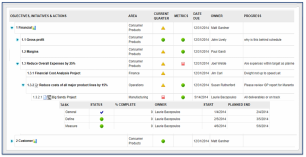 Create, save and export unlimited cascading and filtered initiative, portfolio & project dashboards, scorecards and reports. 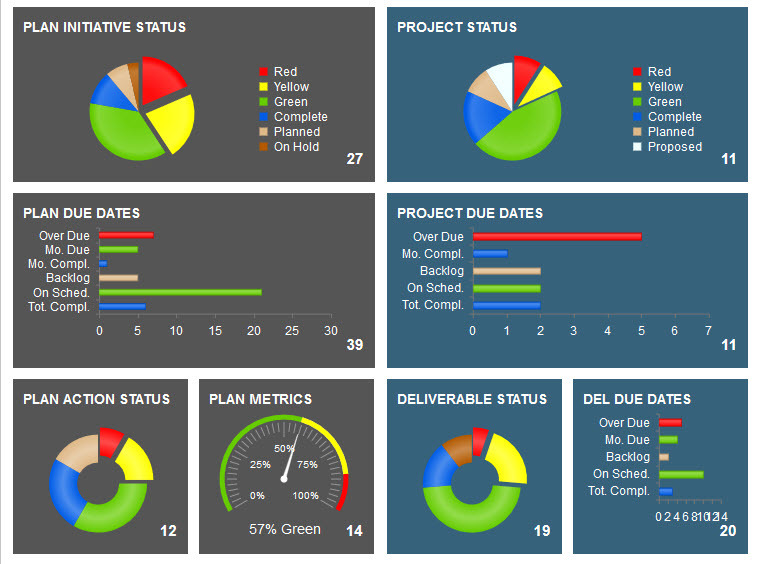 Customize, email, print or export these dashboards as needed. ​A single source of truth for all goals, tactics, metrics and dashboards. Coordinate & refine work real-time, using an integrated cloud based software solution. Plan and execute....... using Agile techniques. Do strategy execution your way...not the way the software wants you to behave.